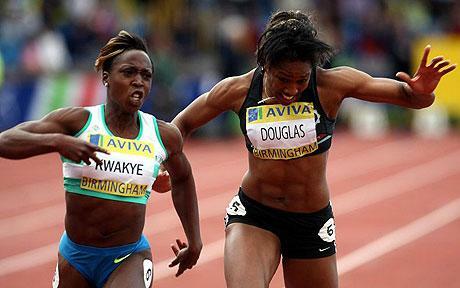 Montell is now 30 years old, so coming towards the the end of her very successful sprinting career. With a PB of 11.05 seconds over the 100m and a former British record holder, Montell has had some fantastic past performances. Montell represented Great Britain at the 2008 Olympics, in the 100m. In her first round heat she placed second behind Ivet Lalova in a time of 11.36 to advance to the second round. There she failed to qualify for the semi-finals as her time of 11.38 was only the fourth fastest time of her heat, causing elimination. She was also part of the Great Britain team which reached the final of the 4x100m relay, but unfortunately the British team failed to finish due to a mix-up in the changeover. Being able to see what improvements I can make and the opportunities of representing my country to inspire others. How important is team work within your sport, including other players (if relevant) coaches, support team etc. Hugely important. Without a team, there is no me. Coaches, physios, massage therapists, psychologist and doctors all make valuable input into the programme to get me to where I need.